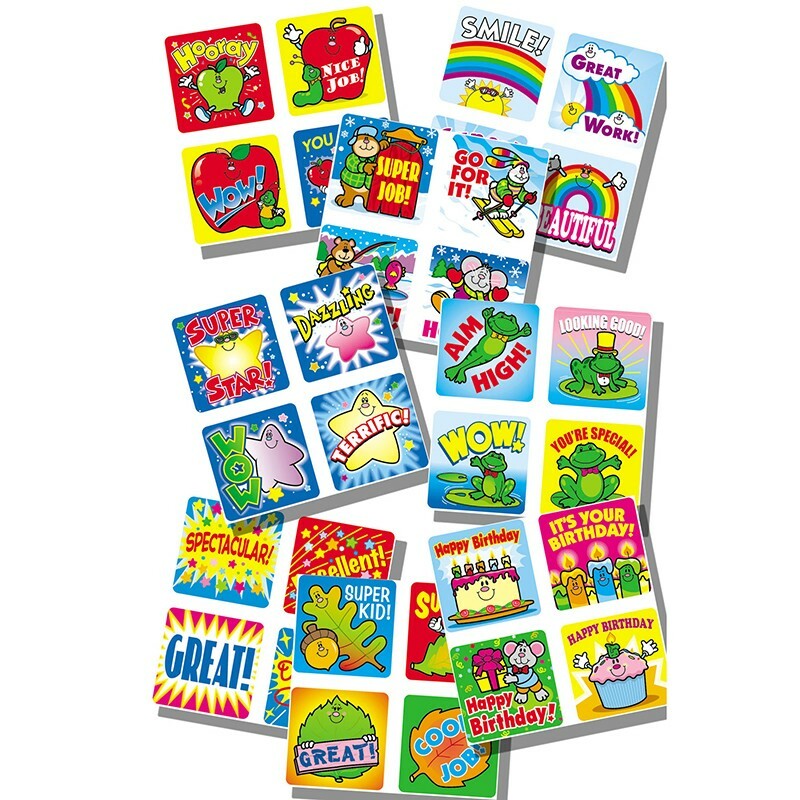 With 1,080 stickers, the acid-free and lignin-free Motivational Sticker Pack is perfect for a whole year of reward and recognition! The kit includes 120 each of Apple, Fall Fun, Penguin, School Days: Kid-Drawn, Star, Frog, Smile Fun, Snowmen, and Positive Words designs. Each sticker measures 1" x 1".